Several years ago, I received a full sized bottle of Booker’s as a Christmas present from one of my family members. Prior to the acquisition of this bottle, my experience with cask strength whisky was minimal. Other than a wee sip of some Thomas H. Handy Rye and a sample or two of The Glenlivet Nadurra, most of my whisky drinking experience was limited to 50% ABV and below. The truth is that at that point in my whisky education, I was having difficulty adjusting to the firepower of all that is cask strength. It’s not that I didn’t enjoy the high octane, it’s just that my palate wasn’t used to that kind of intensity, and I could never quite figure out how much water was needed to make it easier to drink. If you happen to be a regular reader of our little blog, then you already know that I’ve adjusted to this cask strength intensity (I rarely add water regardless of the ABV) and often complain that certain whiskies should be bottled at a higher ABV. That big bottle of Booker’s is long gone, but a couple of weeks ago I remembered that I had an unopened sample bottle way in the back of the liquor cabinet. 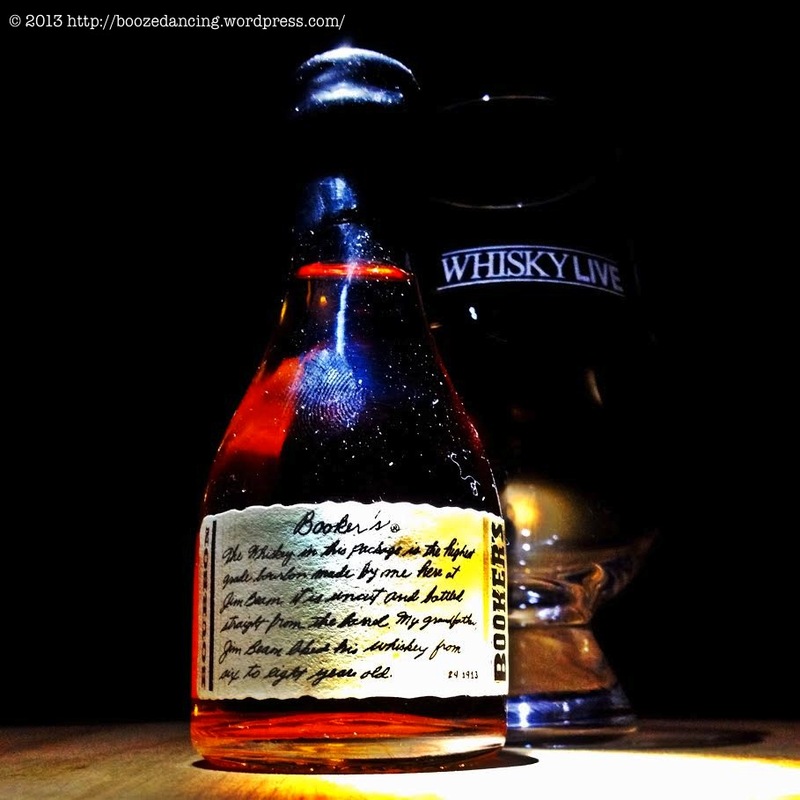 Since this wee bottle of Bourbon was purchased almost two years ago as part of a Jim Beam Small Batch Collection sampler pack, I decided that I would finally sit down to write a review. Aroma: Definitely had to let this open up a bit before sticking my nose in the glass. Once it settles down I get a healthy dose of brown sugar, cinnamon, vanilla, candied orange peel, cigar wrapper, and a touch of wintergreen. Taste: Although it definitely has a high octane kick when you take that first sip, I am having a much easier time drinking it neat this time around. Medium bodied with a touch of oiliness. All of the flavors are hitting the middle of my tongue. Lots of cinnamon and brown sugar at the onset. Intensifies even further towards the middle with some vanilla making an appearance. Mellows a bit at the finish with some minty herbalness showing up. The flavors fade rather quickly which just makes you want to go back for more! As I said at the beginning of my review, Booker’s Bourbon was one of my first real experiences with cask strength whisky. That being said, I think I may actually like this whiskey even more than when I had it the first time around. For a whiskey with such a high octane, I found this to be very smooth and easy drinking, even at full strength (provided you take it slow of course!). And when you consider that this whisky sells for about $50 per bottle, then what we have here is one hell of a cask strength whisky bargain. My recommendation: buy a bottle! Great review, G-LO. Love the sample bottle packaging for this Bourbon. It’s quite a brute at first, but like you mentioned it can definitely be warmed up to. I found that adding water actually kills this one. Another one of my recent favorite cask strength Bourbons has been the Elijah Craig Barrel Proof. Thanks Will! Elijah Craig Barrel Proof? Sounds tasty! I’ve only had the 12. I’ll keep an eye out for it. It’s great Bourbon. They printed the age statement on the back of the label, but it is 12-years-old as well. They just recently released a third batch.